Darts is incredibly entertaining, a cross between a prize fight, the Sevens and a pub charity event. Each player enters the venue to their own theme song, many have their own chants, some have crazy hair, all have nicknames and now, many off the top players are multi-millionaires. When a player hits a 180, the crowd leaps to their feet and cheers excessively before beginning the Darts dance yet again. When a player is on a real winning streak the ultimate goal is a ‘nine dart finish’, cleaning up the entire 501 score in only 9 darts and finishing with a double - if this happens, expect a total meltdown from the 4,000 approximate crowd per night. Day one (Friday the 3rd August) sees the eight PDC seeds up against the local players in sudden-death head-to-head matches - best of seven matches. Day 2 (Saturday 4th) - Second round, quarter and semi-finals. This is a huge night out for thousands of fans! Excitement is building as New Zealand darts fans prepare for the arrival of the world's best players, here to battle it out for the fourth Auckland Darts Masters brought to you by TAB and Burger King, August 3rd – 5th at the Trusts Arena. Part of the Professional Darts Corporation’s World Series of Darts tour, the event features world number one Michael van Gerwen, new World Champion Rob Cross, colourful Peter Wright and former World Champions Gary Anderson and Raymond van Barneveld. "This is our fourth year in New Zealand and we're excited about the continuing growth achieved by the Auckland Darts Masters," said PDC Chairman Barry Hearn. "The people of Auckland give us an amazing welcome and we are very pleased to be back with the world’s best players for the Auckland Darts Masters," Hearn said. Top-billing this year goes to the near-invincible Dutchman, Michael van Gerwen, who will be arriving in Auckland in hot form. Van Gerwen has never won the Auckland Darts Masters event, but has resumed his amazing form this year, claiming Masters and Premier League glory in a dozen tournament victories in recent months. Local fans will be hoping the darts gods will deliver a Dutch-double with a Van Gerwen-Van Barneveld final. ‘Barney’, a colossus in the world of darts for more than 25 years, has held the World Championship five times (unmatched by any other current darts player) and is also Van Gerwen’s most challenging competitor. The man who defeated Van Gerwen in the semi-finals of the World Championship, Englishman Rob Cross, will also be at the Auckland event. Rugby-loving Cross will be meeting the Auckland crowd for the first time and looking to repeat the form that won him the 2018 World Championship title to cap an incredible debut year as a professional. 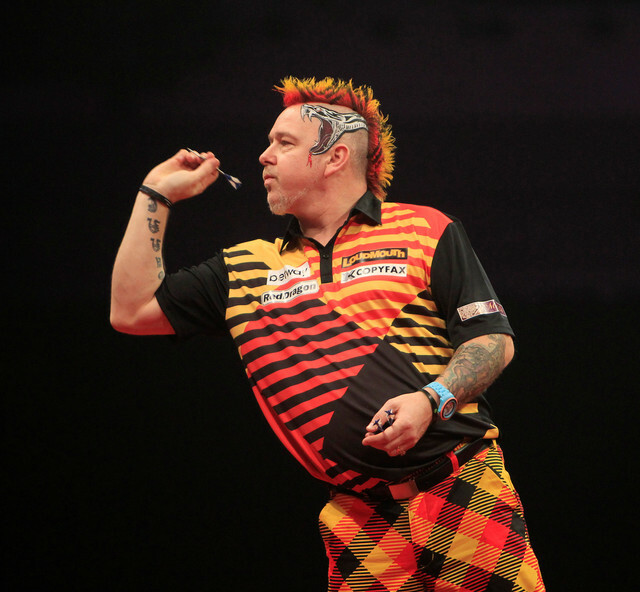 The world’s second ranked player, Peter Wright, a fan favourite for his colourful hair and crowd-pleasing antics, is yet to fire at the Auckland Darts Masters, but the event has already proven a good place for an upset and 2018 could be his time. Wright will be wanting to avoid the double World Champion and 2016 Auckland Masters champion, Scotland’s Gary Anderson - a player who has the edge on Wright in head-to-head matchups and who succeeded him as UK Open champion in March. Michael Smith is another top English player showing good form in 2018 and will be keen to shine on his return to Auckland. A former World Youth Champion, Smith excelled in this year’s Premier League, only to be beaten by Van Gerwen in the final. They might be lower on the world rankings, but Australasian players have also shown they can foot it with the best. Last year, two Aussies made the final - ‘The Original’ Kyle Anderson showing steely resolve to win over Corey Cadby, the upstart who bullied his way past legend Phil ‘The Power’ Taylor. Both players are back alongside fellow Aussie Simon Whitlock and will want to rekindle the form they showed in 2017. “We’re seeing a huge improvement in the standard of darts competition right around the world and on his day, almost any player can step up to the top level,” says Hearn.